Google has two new apps rolling out designed to help the Deaf and Hard-of-Hearing use their smartphones to understand people speaking aloud around them. Live Transcribe is an app that listens, converts speech to text, and simply displays a live transcript on the screen of what's being said aloud nearby. Haptic feedback lets the user know when someone has started speaking. An icon provides a visual indicator of volume and background noise. The app uses the Google Cloud Speech API, and thus requires a decent data connection. It works in 70 different languages. It can use the phone's microphone, or an external mic. Sound Amplifier is the other app; it filters background noise and boosts quieter sounds, making it easier for the hard-of-hearing to hear what's important around them. It's designed for use with wired headphones. The filtering effects can be fine-tuned for each ear. Live Transcribe is available in a limited beta, while Sound Amplifier is available to everyone today in the Play Store. Both apps will pre-installed on Pixel 3 phones going forward. 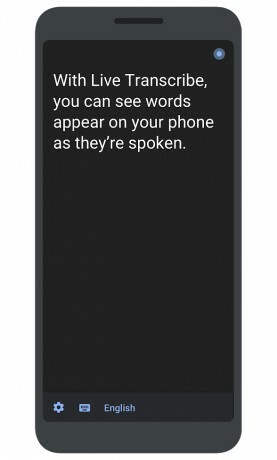 Google recently updated its Text-to-Speech app for Android devices and gave the tool a handful of new features. The app adds support for Bengali, Danish, English, Finnish, Hungarian, Norwegian, and Mandarin.